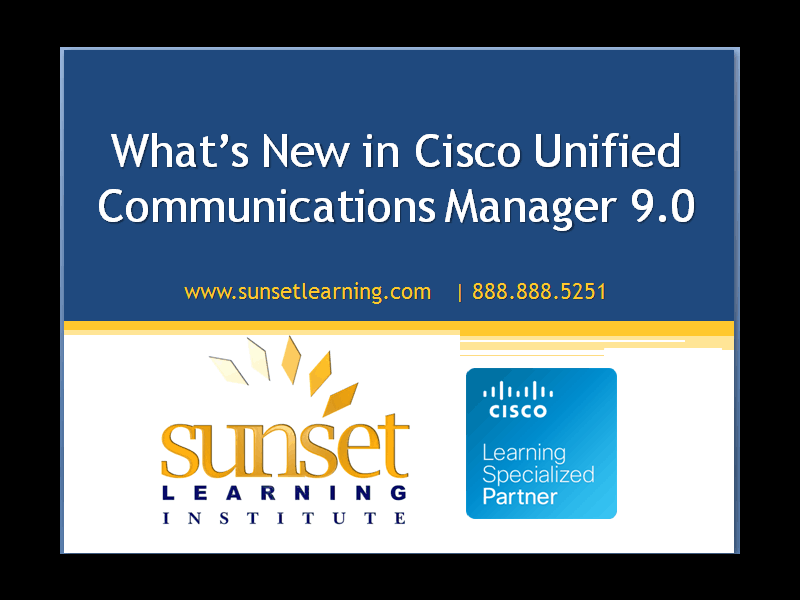 In this prerecorded webinar, Sunset Learning Instructor Maren Mahoney describes and demonstrates new features now available in Cisco Unified Communications Manager 9.0. Please visit our Blog Page for more helpful training resources from the Sunset Learning Instructor team. Also, visit the SLI Website for a full list of guaranteed to run training courses.